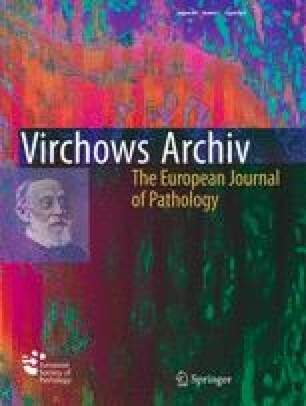 For the past century, autopsy techniques in clinical pathology have not changed significantly, while autopsy rates are declining. Modern imaging techniques offer interesting prospects of supportive post-mortem diagnostic investigation. In a prospective study of 29 autopsy cases, complimentary virtual autopsy using unenhanced post-mortem computed tomography (pmCT) was performed. We analysed in a prospective cohort study 29 unenhanced pmCT scans, generated prior to autopsy. Clinical information regarding clinical history and circumstances of death were provided. The objective of the study was to find consistency and/or discrepancy between virtual autopsy and conventional autopsy findings regarding cause of death and death-related diagnoses, reconstruction of the pathogenetic mechanisms involved, side diagnoses and CPR (cardiopulmonary resuscitation)- or death-related post-mortem changes. Accuracy of pmCT for cause of death was 68 % and the positive predictive value (PPV) was 75 %. Regarding the pathogenetic mechanisms, accuracy of pmCT was 21 % and PPV was 29 %. The combined diagnostic yield of autopsy and pmCT was 133 % compared to autopsy only. Modern imaging techniques give an opportunity for post-mortem diagnostics to complete but not yet replace traditional autopsy. We could show that in two out of three cases, the cause of death found by pmCT matched the diagnosis from classical autopsy. While both disciplines, pathology and radiology, will profit from the mutual exchange of data, it seems a realistic aim to strive for virtual autopsy possibly further supported by biopsies and contrast-enhanced pmCT as an alternative to the classical clinical autopsy. A combination of both methods enhances diagnostic quality and completeness of the autopsy report. The online version of this article (doi: 10.1007/s00428-012-1257-4) contains supplementary material, which is available to authorized users. The authors would like to thank Bernd Sellhaus, Marc Britz and Wim Haas.